Updated Automotive Repair now owns the Nitrogen generator machine for all types of tires and mag rims, Vetronics 3100 Mastertech with Expertec-SPS Pro, Vetronics Tech2, Chrysler DRB III and Chrysler Flashing Ability and SPS pro for all G.M./ Saturn/ Lexus/ Honda/ Kia/ Toyota factory testing and reprogramming equipment and its Simbiot Dell Computer. We also purchased for Ford/ Lincoln/ Jaguar/ Mazda/ Nissan the NGS tester unit and Ford flash package they are also ford factory testing and reprogramming tools and equipment and work with the dell Simbiot as well. In addition (3) New Diagnostic Computer Systems. The Snap-on Verus and the Snap-On Ultra Solus also a portable 5 gas Snap-on analysis for driveability issues for Import and Domestic vehicles including European. To handle your Airbag and ABS Diagnostic System for most makes and models. 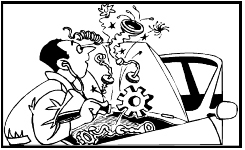 With this new technology our extensive on line data sources and Mitchell on-demand, it will greatly help in the over all diagnosis, repair and maintenance of most early and current model vehicles as well. as much as one that's been neglected. replacement of a part you can budget accordingly. to start or otherwise leave you stranded. personality. Keep it looking like you care. 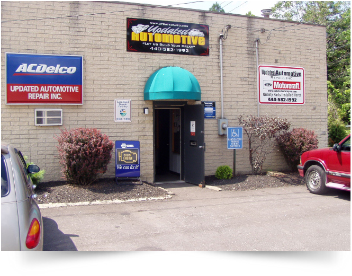 Hi, I'm Bill Caroniti, the owner and operator of Updated Automotive Repair. I'd like to welcome you to our website. I hope you will find it helpful and informative. 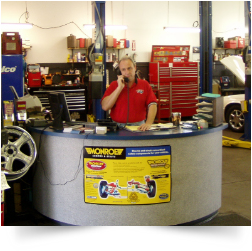 Please contact us anytime for the answers to all your automotive needs. © 2018 Updated Automotive Repair, Inc.